Vanessa Hudgens wore this Blu Moon bolero to a Knicks vs. Hornets game in early March (retail price of the jacket - $198). 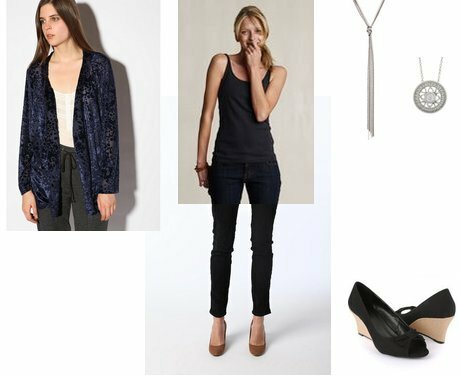 I put together a similar look using this velvet burnout cardigan from Urban Outfitters, shoes from Forever 21, and a tank from Land's End. Click on any of the images below for more information.